This pretty wish charm personalised bracelet is hand made in the studio with sterling silver charms, a beautiful gift box and wish poem. 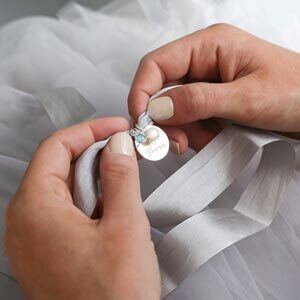 To accompany your bracelet please choose a card from the selection which cover a wide variety of special occasions. 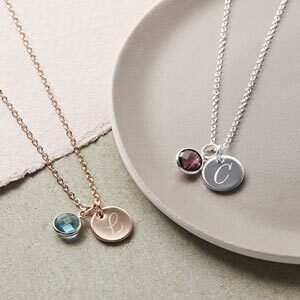 Also, why not personalise your item with beautiful hand stamped sterling silver letter and number charms, to make your personalised gift that extra bit special. The hand stamped charms are prepared here in the studio. The wish charms are gold plated solid sterling silver on a 1 mm waxed cotton thread bracelet. The initial charms are sterling silver. This bracelet is in a special box with a wish card of your choice.